Is your morning dismal before you drink that first cup of coffee? We all know brewing your own coffee at home is cheaper than hitting Starbucks on your way to work, but some days you just don’t have the time or inclination. Instead, take advantage of these free and low-cost ways to feed your caffeine addiction but save your money. Here are 11 ways to get your hands on a free or cheap cup of coffee. Sign up for a free IKEA Family Card, and you can pop into the furniture warehouse for a free cup of coffee every Monday through Friday. Plus, you’ll also get other benefits like special discounts on products, 90-day price protection and buy-one-get-one-free frozen yogurt. While some baristas have to look over their shoulders to make sure their manager’s not watching before handing over a free cup of joe, employees at Pret a Manger don’t need to worry. That’s because CEO Clive Schlee encourages his employees to give away 28% of the chain’s coffee for free. Workers can hand out free coffee to anyone like, for any reason at all. Before Schlee publicly announced the company’s policy, some regular customers were mystified about why they received a cup on the house. One Twitter user wrote, “Pret keeps giving me free hot drinks and I have no idea why but it’s so brilliant. Feel like I’ve won the coffee lotto.” Head into one of the chain’s shops and you, too, could win the coffee lotto. “Try before you buy” is standard practice at Cost Plus World Market. That’s why the shops typically brew at least one type of coffee each day. Stores typically offer small cups for you to sip while you do your grocery shopping. Before you go on your next Starbucks binge, be sure to sign up for their Rewards Card. This loyalty program can earn you free drinks, food, custom offers and more. At the first level of membership, you can earn a free birthday drink or treat and a discount coupon for your next trip to the online Starbucks store. Collect stars by using a registered Starbucks Card. Each transaction (not item) earns you one star. After collecting five “stars” in 12 months, you’ll earn the above perks plus free in-store refills on brewed coffee and tea (hot or cold). If you earn 30 stars, you earn all of the above plus a free food or drink item after 12 more stars. If Dunkin’ Donuts is your regular haunt, be sure to sign up for the DD Perks Card. You’ll receive a free beverage when you enroll, another free drink on your birthday and a freebie for every 200 points you earn (each dollar you spend earns you five points). The most mysterious of the coffee rewards programs, Caribou Perks promises a bevy of rewards, such as drink upgrades, free bakery items and even free drinks. You’ll get a perk when you sign up and then others at “surprise” intervals, though the company says the more you buy, the more often you’ll receive these perks. When you receive a notification, you typically have seven days to visit a store and claim your perk. Numerous chains and independent shops will give you free coffees on your birthday. When you pop into many coffee shops and gas stations, bring your own cup. 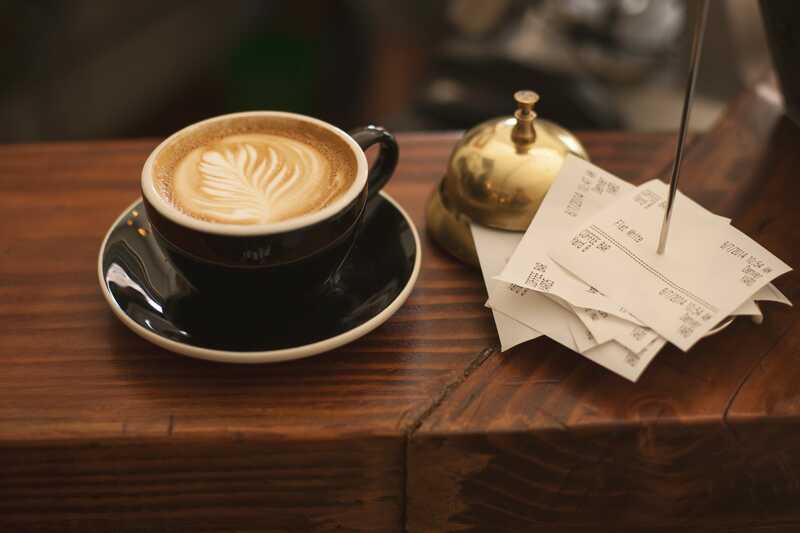 Many shops will consider it a “refill” if you have your own cup, or offer you a discount in order to encourage this environmentally responsible practice. Dunkin’ Donuts gives away coupons and free samples via Tweets, as do several other coffee companies. Be sure to follow your favorite coffee shops so you can see when they have deals, specials and freebies. When your favorite shop offers a “buy five, get one free” stamp card at the checkout, why not pick it up? Even if you think you’re only popping in once, you might as well pick up a card in case you’re in the neighborhood again. The tricky part is keeping these cards on hand so you can get them stamped and claim your prizes. Be sure to store them in your wallet or somewhere you’ll remember them. Stop by your local Steak ‘n Shake between the hours of 2 to 5 a.m. or 2 to 5 p.m. and you’ll receive half off all shakes and drinks including…. coffee! This “Half Price Happy Hour” is a great way to get an afternoon recharge or a late night pick-me-up. Your Turn: Did we miss your favorite way to get free or cheap coffee? Share it in the comments!